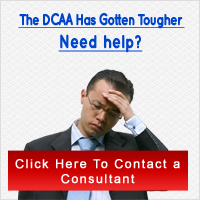 The DCAA has implemented a requirement for daily compounded interest on adjustments of CAS noncompliance after a dispute over a contractor not paying interest on monies owed. This is a costly change, as compounded interest is significantly more than simple interest. Treasury rates can make this cost hurt even more if they inch towards the higher side as it has in the past two decades. Click Here to read further about how this new requirement may affect you.